For fans of Dragon Ball Z, chicken shops, and Brazilian soccer players. 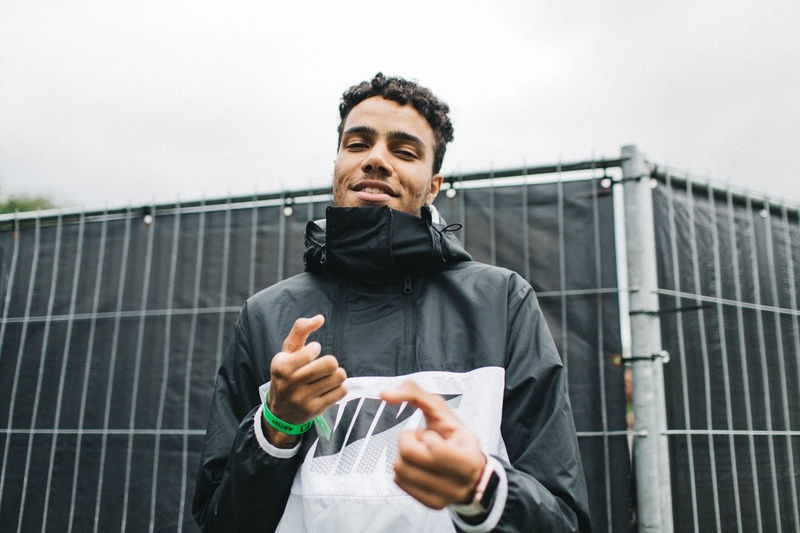 West London grime MC AJ Tracey is fast and aggressive on the mic, boasts a versatile style, and his lyrics are packed with references to everything from soccer players to Dragon Ball Z characters. In 2015 he released two impressive EPs in The Front and Alex Moran, and he has recently locked studio time with Ratking’s Wiki and Sporting Life. Tracey's tireless work on London’s radio circuit, typified by a jubilant 22nd birthday set on Radar Radio in March, has seen him build a considerable following. Combine this with his energetic, hook-filled music and Tracey's future is bright. These six songs show why. The best song on last year’s Alex Moran EP, “Naila” references Yu-Gi-Oh! characters, Netflix’s Narcos, and London chicken shop chain Morley’s over a frantic Zeph Ellis (f.k.a Dot Rotten) production. Tracey sounds completely cold-blooded here, with a paranoid hook about dodging the pitfalls of a music career while making bare dough. More love for east Asian culture from Tracey here as he name checks Dragon Ball Z, Pokémon, and Mortal Kombat while still sounding completely no-nonsense. Rising south Londoner Ezro’s beat provides the doomy setting for Tracey's agile verses. Tracey and 17-year-old rapper Dave make great teammates as they swap fast-paced bars on a song named after Brazilian soccer player Silva. A swirling beat lays the backdrop for the equally lyrical Tracey and Dave to go head-to-head. Tracey shows his versatility here, ditching his big front on Mabel's throwback R&B single to address a girl who he can’t get off his mind. Sheffield MC Coco invited Tracey and GEN F alum Nadia Rose on the remix to his bouncy and boisterous 2016 single. Catch Tracey’s verse in which he rhymes Lindsay Lohan’s first name with grime DJ Slimzee.